What’s in your beef? 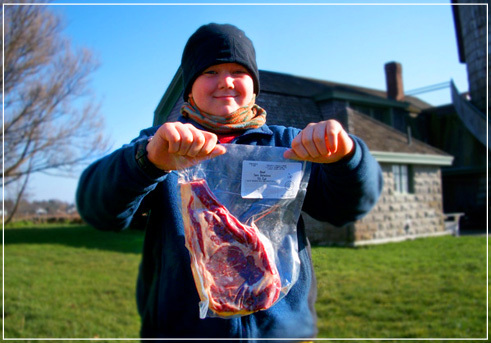 Treaty Rock Farm grows 100% GRASS-FED beef slowly and naturally the old-fashioned way. 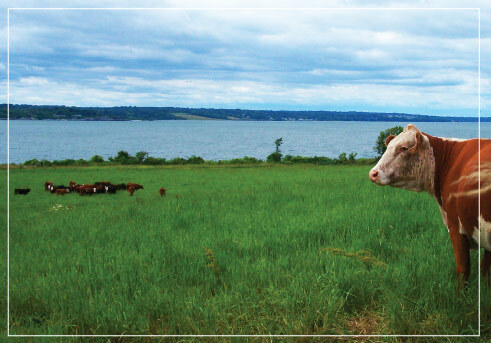 Our Hereford / Devon cattle graze freely on 100 acres of lush waterfront pasture in Little Compton, RI. We take the time to produce a premium DRY-AGED product that is heart-healthy and tastes amazing. Chefs love our beef and you will too !! We limit our herd to about 75 animals so we never deplete the high quality of our grass as we rotate the livestock around our fields. We NEVER give our animals corn or grain due to the serious health consequences associated with altering their natural diet. Our cattle take a year longer to get to market than animals “finished” on high-calorie feed – and believe us, it’s worth the wait !! 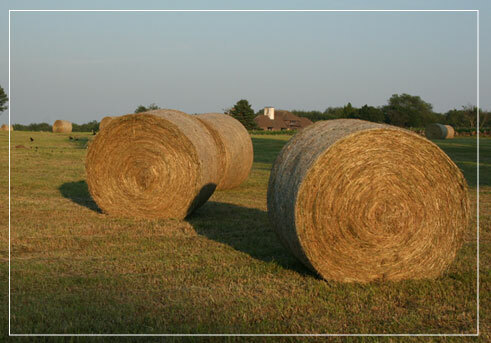 In the winter, our cattle eat hay cut from our fields and neighboring fields during the summer. 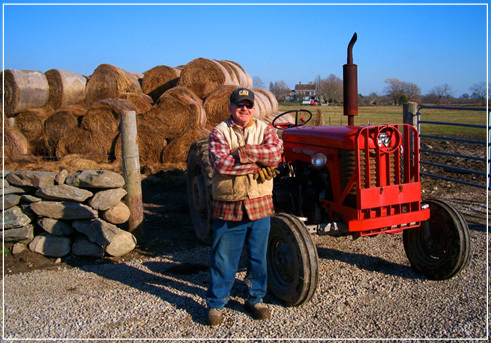 Grass Fed Beef – Why Does it Matter? 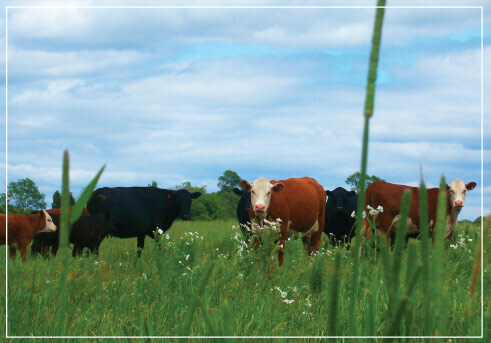 Better for the animals: Cattle are grazing ruminants with 4 stomachs designed to process grass and wild forbs. 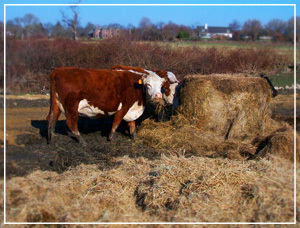 When cattle are given an enriched high-calorie diet, they experience digestive problems often requiring medication. Land for proper grazing is expensive – supplemental feed (corn, grain, stale candy, ground chicken feathers !?!) is cheap and can be delivered in confined feedlot environment bringing animals up to market weight quickly. Better for the environment: Corn is a highly fertilized crop associated with large-scale agricultural runoff that pollutes our waters and creates huge anoxic “dead zones” in the Gulf of Mexico. 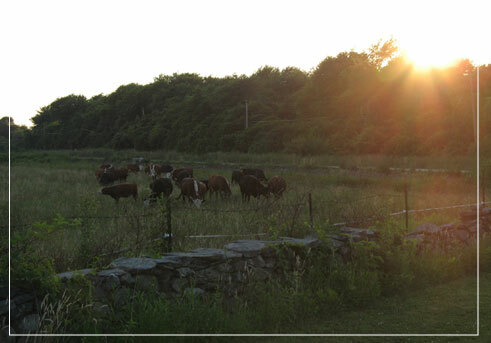 At Treaty Rock Farm, our pastures are fertilized only with manure produced in the traditional manner. Grass-fed is lower in total fats, but higher in good fats. 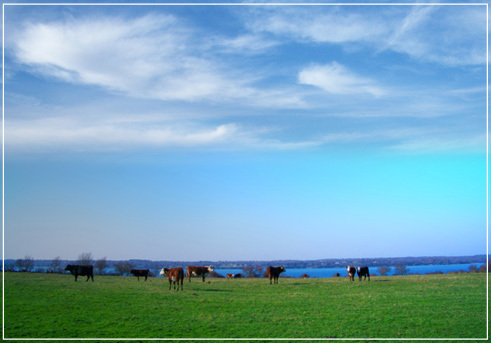 Grass-fed beef is known for outstanding flavor, but can be tough and sinewy due to highly developed muscle texture. This is particularly true if the animals are killed too young and too lean. Treaty Rock animals are grown for 2 1/2 to 3 years on our lush pastures, 12-18 months more than most other beef operations. The intramuscular (marbling) fat and outer fat cap develops in the third season enabling us to dry-age for 21 days in a humidity-controlled cooler. The aging process tenderizes the meat by breaking down protein and intensifies the flavor as the meat loses 10%- 15% of its moisture. How Does your Beef Taste? Treaty Rock beef tastes amazing with a satisfying and memorable strong natural beef flavor. Rhode Island’s finest chefs serve our steaks, ground beef, shanks, flanks & short ribs.